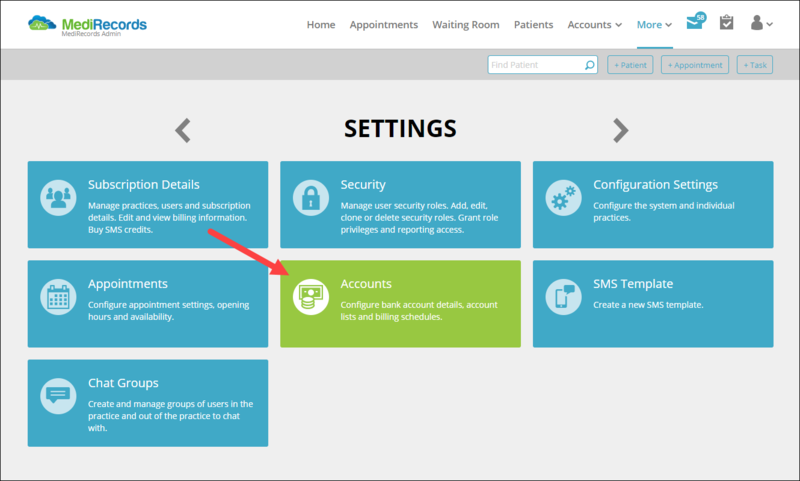 In MediRecords, you have the option to create your own custom schedules for providers to bill patients. This tutorial will demonstrate this function. Click on More and select Settings. Click on Accounts, then select Schedules. You will be brought to the Schedules list on MediRecords. To create a new schedule, click on the New Schedule button. The New Schedule form will pop up. 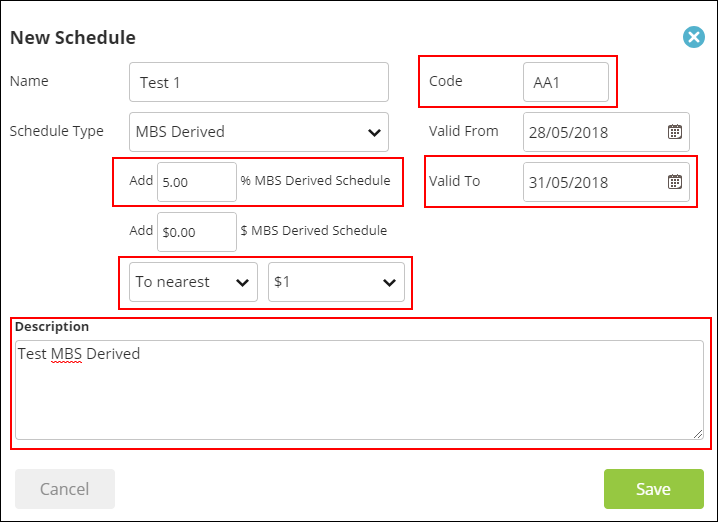 MBS Derived - Uses the MBS item codes and fee schedule, with options to apply a fixed margin (either dollar value or percentage) and rounding values on the MBS fees. 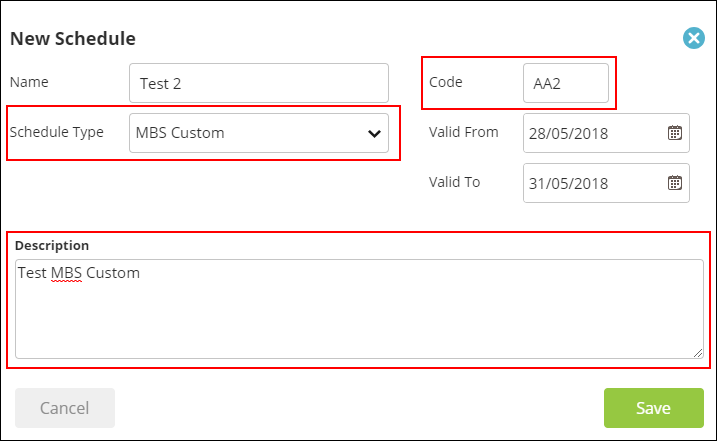 MBS Custom - Uses the MBS item codes, however each item is assigned a custom fee. Custom - A custom fee schedule with unique item codes, unrelated to MBS. This tutorial will run through a simple example of each. In the form, select MBS Derived. You will be shown the following fields. 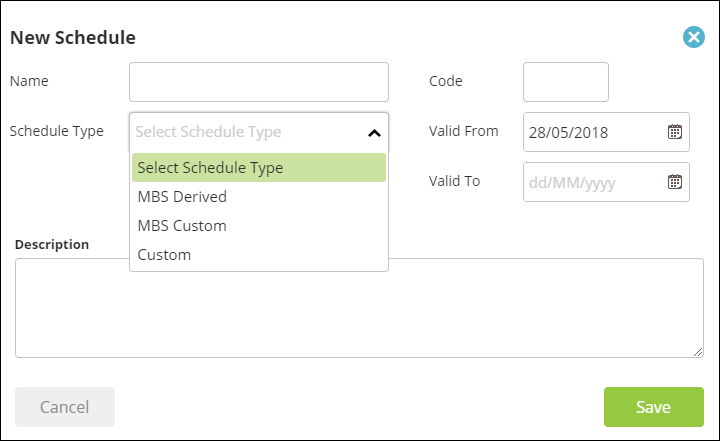 In this example, we will modify the schedule so that MBS items are charged 5% more than their default value. Click on the field and adjust to "5.00". You can also customise whether the values should be rounded, and by what increment. In this example, we are rounding the items to the nearest dollar. 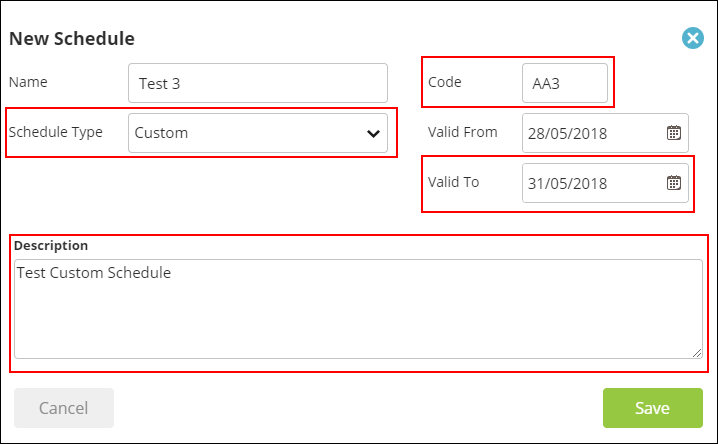 It is optional to edit the Valid To date on the schedule. In this tutorial, we will set it to a few days after the Valid From date. Once all relevant details have been filled in, click on Save. In this form, you will only need to fill out the Name, Code and Description. The following schedule has been filled in for example. Click Save when you have filled in the details. Similar to MBS Custom, you will only need to fill out the Name, Code and Description. The following schedule has been filled in for an example. Click Save once you have filled out the details. You've completed another MediRecords Tutorial. 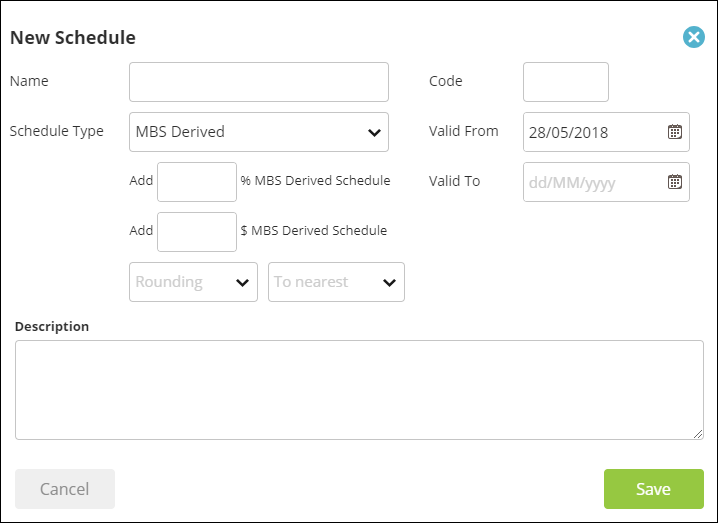 You should now be able to create customised schedules. If this is not what your are looking for, head back to our knowledge base and search for another article. For urgent assistance, please contact MediRecords support on 1300 103 903 during business hours.